Will Bitcoin Mining Consume All The World's Current Electricity Production By Feb 2020? That’s the equivalent of 0.13% of total global electricity consumption. 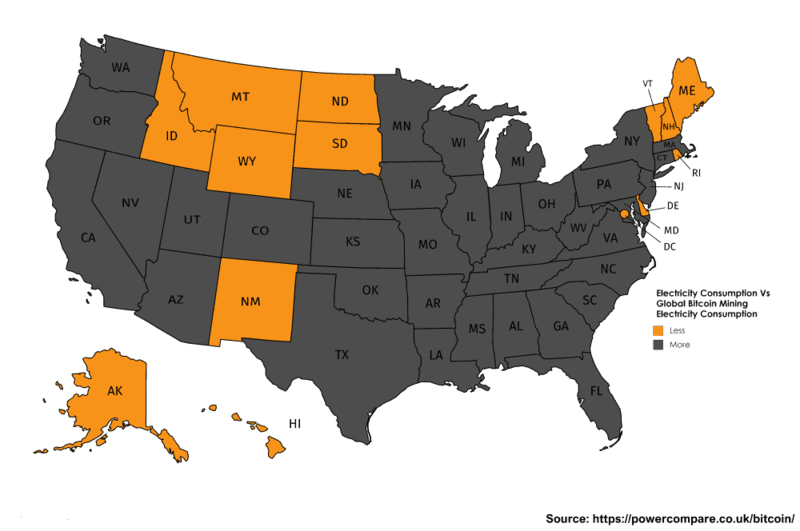 While that may not sound like a lot, it means Bitcoin mining is now using more electricity than 159 individual countries (as you can see from the map below). More than Ireland or Nigeria. All maps created using Mapchart.net. 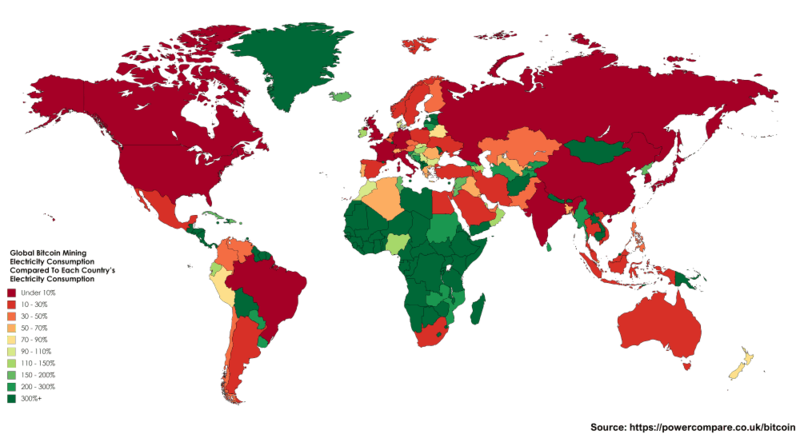 The map above shows which countries currently consume more or less electricity than that consumed by global Bitcoin mining. The Bitcoin Energy Consumption Index estimates consumption has increased by 29.98% over the past month.